As summer draws to a close, its time to go on one last trip before we all return to the usual routine. For your summer’s last hurrah, why not schedule an August vacation to Gatlinburg in the beautiful Smoky Mountains of Tennessee! 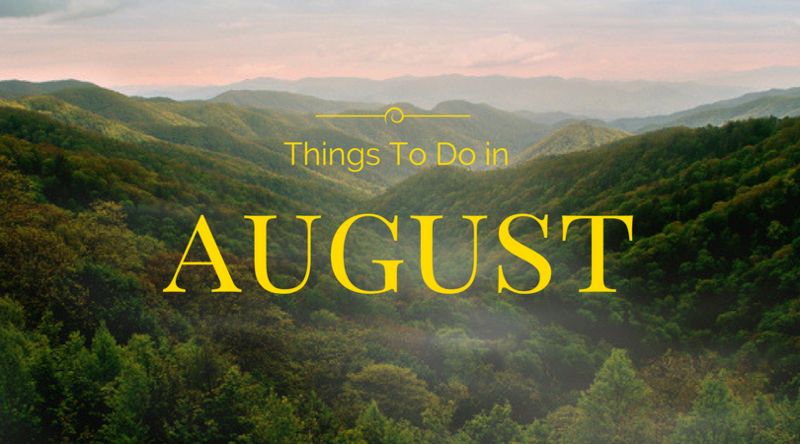 With lots of beautiful weather, fun events, and exciting things to do, its no wonder August is one of the most popular times to explore the Smokies. 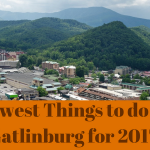 To help you get the most out of your trip, here’s 3 things to know about visiting Gatlinburg in August in 2017! This warm sunny weather is ideal for visiting water parks like Dollywood Splash Country, enjoying a lazy day by the pool, or going swimming in a pristine mountain swimming hole. Not only is the weather warm, but there’s also less of a chance that your summertime fun will get rained out. Rain in the mountains during late summer is often short and sporadic. Much like Florida in the summer, there may be a chance of a quick shower or a short thunderstorm in the afternoon or evening. 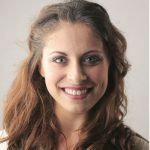 Overall, you can look forward to plenty of sunny, warm weather during your stay in the Smoky Mountains in late summer! With long, sunny, days, August brings lots of great events to the Smoky Mountains. Here are just a few of the fun activities you can enjoy during your late summer vacation in the Smokies! Every Saturday in August, you can find fresh, local produce and unique crafts at this lively farmers market at the Covered Bridge in the Glades. While you shop for top-quality vegetables, homemade jams & jellies, and fresh-baked goods, the kids can enjoy fun crafts activities and games. This is a great way to watch free concerts in Gatlinburg this summer! In addition to some private ticketed concerts, the Smoky Mountain Songwriters Festival features 4 days of open concerts in Downtown Gatlinburg at venues like the Glenstone Lodge. During the entire month of August, participating businesses in Pigeon Forge offer discounts to America’s heroes. This includes active and veteran members of our armed forces, firefighters, police officers, and other first responders. You’ll find authentic Smoky Mountain bluegrass and a foot-stomping good time at the Old Mill Square in Pigeon Forge from 11:00 AM to 7:00 PM on August 5th. This unique festival features great live music & fun games. Join Pigeon Forge in honoring America’s heroes with a parade through the heart of town at 9 AM. This festive event is dedicated to the courage and sacrifice of active and retired members of America’s armed forces. Organized by the Smoky Mountain Jeep Club, this fantastic gathering for Jeep owners and enthusiasts will be held at the LeConte Center in Pigeon Forge from 8 am to 3 pm. There will be prizes and a charity raffle for great Jeep accessories and parts. Additionally, an official jeep ride in Cades Cove is planned for Saturday. Along with visiting top-rated attractions like Dollywood Theme Park or Ripley’s Aquarium of the Smokies, August is the perfect time to explore thrilling outdoor attractions and adventures. Whitewater Rafting – August is a great time to go rafting on the Little Pigeon River only a short drive from Gatlinburg. Several outfitters take visitors on tours of the lower and upper sections of river that feature up to class IV rapids. Guided Horseback Rides – Several stables offer guided horseback rides on private trails inside the Great Smoky Mountains National Park. Ziplining – Explore the towering forest canopy on an exciting zip line ride through the trees! Mountain Coasters – A newer attraction in the Smokies, these unique roller coasters take riders on a twisty, turning course down the side of a mountain. Relax at Smoky Mountain Swimming Holes – With plenty of warm sunny weather, August is a prime time to go to swimming holes in the national park like the Wye, The Sinks, and The Blue Hole. 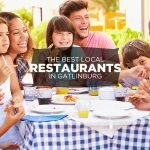 While summer is a popular time to visit the mountains, August doesn’t feature major events that bring record crowds to Gatlinburg like a major car show or a holiday. As a result, you can enjoy great weather and tons of fun attractions without having to deal with crowds.